Baguio is probably one of the wonderful places you can pay a visit or live in the Philippines. As a matter of fact, Filipinos from different regions and even foreigners make wonderful memories here. Sometimes, settling in Baguio City crosses their minds. With this, is it really a good idea to take permanent residence here in Baguio? For many folks out there, settling in Baguio is not a bad idea. However, you should take first a glimpse on both the advantages and disadvantages of residing in Baguio City. In fact, there is always the two sides of the coin when it comes to your decision. Hospitable People. One of the most prized personality of the Filipinos is being hospitable and welcoming. This is one trait that you would love being in Baguio City regardless of your origin. Food is Cheap. The cost of basic consumption like the food is one attraction to those who are in search for permanent settlement. More importantly, fruits and vegetables are fresh. Alluring Mountain Views. If you are looking for scenic views that would always stir your eyesight, then Baguio is the place. Surely, you can never get enough of the beautiful landscape and marvellous pine trees in the place. Cool Climate. If you do not like the scorching heat of the sun, you can go up to Baguio where the climate is cool and relaxing. Do Lots of Things. Visiting the park, biking, and horseback riding are just some of the things that you can do in Baguio City. Overpopulated. Baguio City can only accommodate 30,000 inhabitants. However, its daytime population climb up to 400,000 which is not good, especially on holidays. Water Shortage. As mentioned earlier, population had increased and this poses a constraint on the natural resources. One of which is water shortage. It is still a question if the government can still cater the basic needs of the people. Environmental Degradation. Waste management is one imminent problem of overpopulation. In fact, there is no long-term plan on waste disposal system, except for that of waste segregation. However, the latter is still widely ignored. Long Travel Time from Manila. If you have matters to attend in Manila, bus time travel is nearly six hours. Landslides. When it rains cats and dogs, landslides often occurs. With this, the access roads are closed; but are then cleared up quickly. 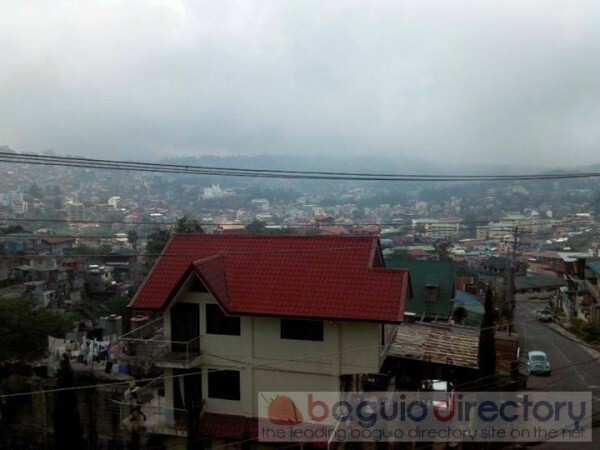 The advantages and disadvantages of residing in Baguio City are just laid out. It is up to you on whether you will pursue on your endeavour or not. Good luck!